Twenty-year-old Tashinga Masasa who was convicted of unlawful entry and theft blames his misfortunes on the death of his father. Tashinga committed the crime with an accomplice, who has since been released, said all they got after breaking in was a measly $20. He was staying with his grandparents in Jerera before he was convicted. “I only went up to Form 2. “My father died around that time and I stopped going to school, I was just staying at home after that. “The moment I stopped going to school I then turned to a life of crime, ndakangofurirwawo nevakandifurira,” he said. 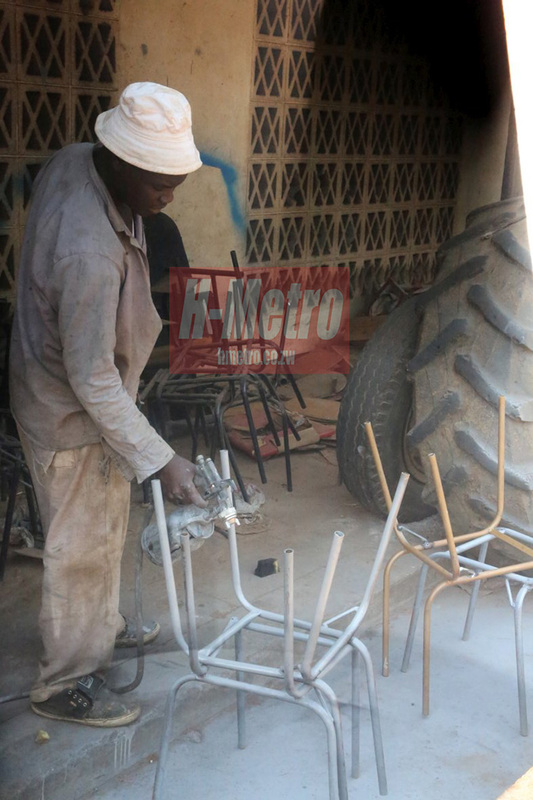 The inmate, who is now a spray painter at the Prison, said his grandparents only visited once when he was still in Chiredzi. He is hoping to use his welding skills when he is released and start a family of his own.